Honor 8C is expected to be the first smartphone with Qualcomm Snapdragon 632 chipset. 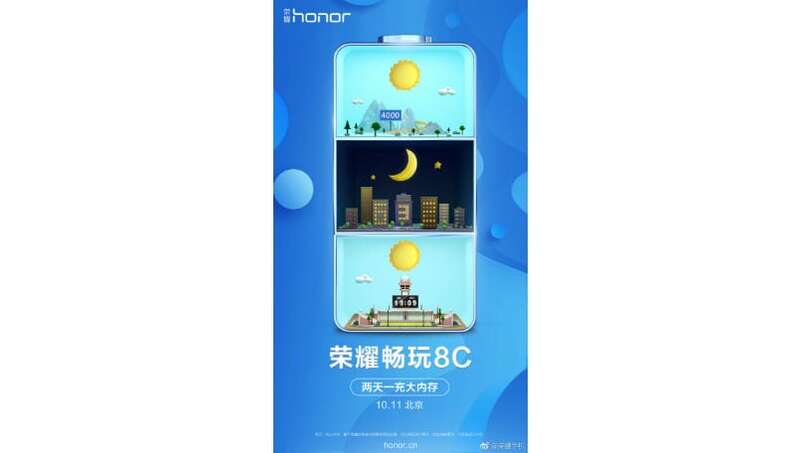 Honor 8C, the next smartphone from Huawei‘s sub-brand, is set to launch on October 11. 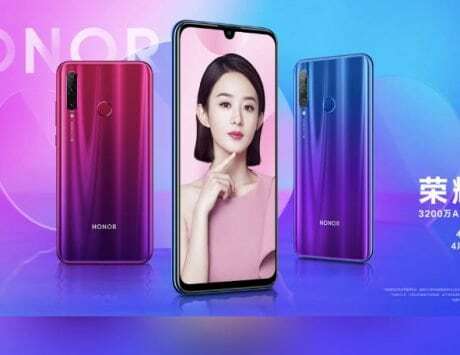 The smartphone will join Honor’s expansive lineup which also includes the recently launched Honor 8X and Honor 8X Max smartphones. Now, ahead of the official launch, Honor has released a teaser image, which confirms some of the key features. The teaser image posted by the Chinese smartphone maker on Weibo contains three numbers, that giveaway three key features of the upcoming device. The numbers such as 4,000, 632 and 19:09 reveal that the smartphone will be equipped with a 4,000mAh battery. It is expected to be the first smartphone with a Qualcomm Snapdragon 632 SoC. 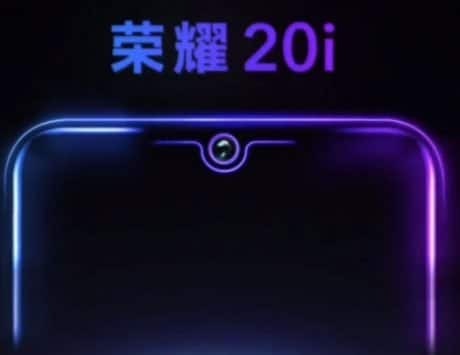 The teaser image was followed by a listing on Vmall, which further confirmed some of the other features to be expected from the device. 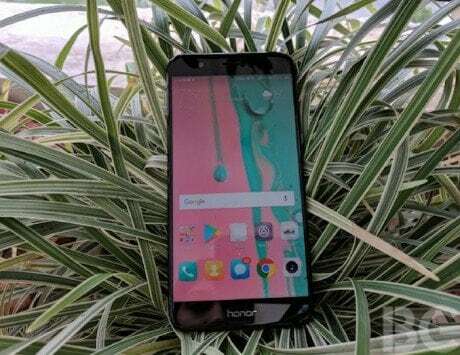 According to Vmall listing, the Honor 8C will feature a 6.26-inch IPS LCD display and will feature a notch similar to other Honor models like the Honor Play and Honor 9N. The Honor 8C will feature a HD+ display with a resolution of 1520 x 720 pixels and is likely to offer a screen-to-body ratio of 80.4 percent. Qualcomm had launched the Snapdragon 632 alongside Snapdragon 429 and Snapdragon 439 chipsets in June. It features four Kryo 250 cores clocked at 1.8GHz and four Kryo 250 efficiency cores clocked at 1.5GHz. The chipset is supported by Adreno 605 in the graphics department. The Honor 8C will come with 4GB of RAM and 32GB internal storage. It will also be available in variants offering 4GB RAM and 64GB inbuilt storage. 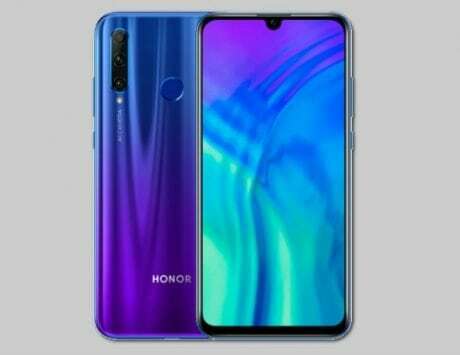 The Vmall listing also reveals that Honor 8C will feature an 8-megapixel selfie camera and a combination of 13-megapixel and 2-megapixel dual rear camera on the back. It also comes in magic night black, aurora blue, platinum gold and purple color. 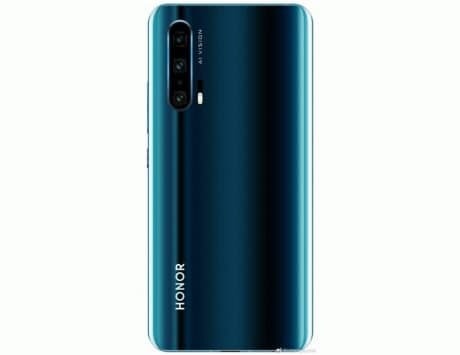 There is no word on the pricing just yet but the smartphone should be priced lower than Honor 8X, which has a starting price of RMB 1,399 (around Rs 15,000).